If you fancy a nice cocktail or martini after a long day of work, there are Bars in Singapore that have good deals during Happy Hours. There are also plenty of options if you want to find a nice chill out place for a pint of cold icy beer with some finger food to enjoy the weekend with your friends. The sister restaurant of Oriole Cafe, Bedrock Bar & Grill has a Happy Hour Promotion from Mon to Thu 5-7pm: free flow mini steak burger with purchase of Belvedere or Strathisla beverages. I only came to know about Five Izakaya Bar after my friend tweeted about the cheap drinks and Japanese finger food that she had there. $5 specials on Asahi Draught, Red & White Wines, Sake, Shochu, Choya and, all house pour spirits – sounds like a terrific deal! Has anyone been there before? Gusttimo di Roma is first and foremost an ice cream place at Ion Orchard, sitting at the opposite end to Sephora Singapore. While they may not have the best service, Gusttimo’s Happy Hour house pours are priced at $6 per drink from 6pm to 9pm, and there’s also 1-for-1 beer all night long. The Happy Hours at KPO Cafe Bar is from 12noon to 8pm daily. Promotions include house pour of Gin, Vodka, Brandy at $7-8 per drink, wine house pour at $7 (u.p: $12), and bottled beers at $8 (u.p: $13). Ice Cold Beer, Que Pasa, and No. 5 Cocktail bar at Emerald Hill, are some of the popular bars in Singapore, where friends hang out over drinks and pub grub. My friends who frequented Orgo at Esplanade told me that. Happy Hour is till 8pm daily, and includes Wine house pours at $10/glass, and a selection of beers (Asahi Super Dry, Erdinger White, Guiness Draught Surger) from $8-10. Prelude is an open-air rooftop bar on the Boathouse at Fullerton. 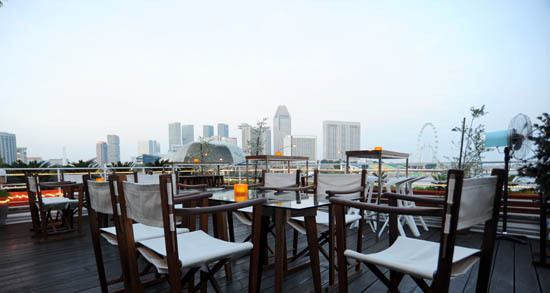 While their Happy Hours 1-for-1 beer promotion from Monday to Thursday 7pm to 8pm is only an hour, the bar has a fantastic view overlooking the whole Marina Bay area. A great chill out place if your office is in the Central Business District. A hidden enclave under the Esplanade bridge where Merlion now resides, Sal Tasca is one of the newest Spanish Tapas Bars in Singapore. 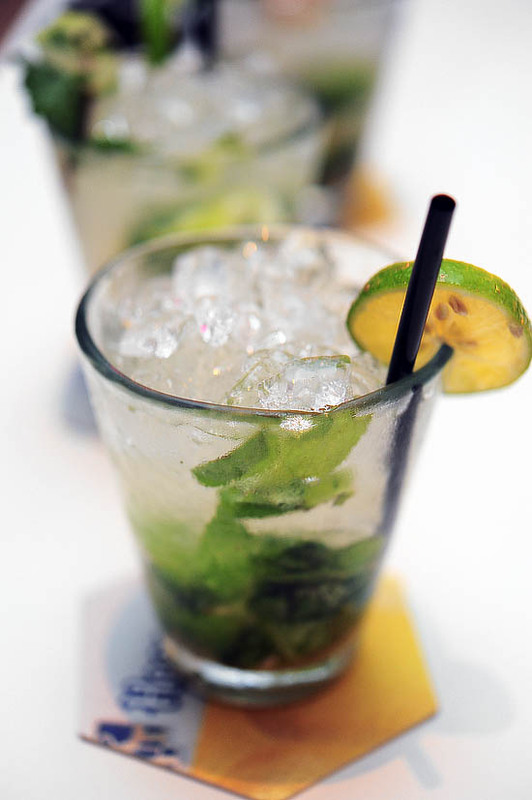 They have the longest happy hour in Singapore, from 9am to 7pm – 1 for 1 on all house pour spirits, Sangria, Wine & Beer. With a claim as the first Argentine Restaurant in Singapore, it’s difficult not to notice Salta at Icon Village. Now, I have no idea what is Argentinian cuisine, but Salta has a pretty attractive 1-for-1 beers & house pours during Happy Hour from 4pm to 8pm (Monday to Friday). The Cocktail Frenzy promotion caught my attention when I was having dinner at the re-branded Southbridge Jazz @ 7atenine. 7 Cocktails at $77++, this is the perfect idea for a nights out. Otherwise, they also have a selection of drinks on promotion: 2 for the price of 1 from 5pm to 8pm daily. Standing Sushi Bar at OUB Centre has opened two new branches at Marina Bay Link Mall & 8Q Queen Street in quick succession. To celebrate the opening of the two new locations, SSB is running happy hour promotion: $20 free flow Asahi draft beer from 5pm to 7 pm (Monday to Friday). 1 for 1 house pours during Happy hours from Monday to Friday is 5pm – 11pm, and Saturday from 9pm to Midnight. At Tab Singapore, they have a promotion of free flow steak sandwiches & fries during Happy hours from Mon to Fri 5pm – 8pm for all paying customers. This deal is rather similar to Morton’s Steakhouse, but who cares? Yay to free flow steak sandwiches! Other promotions include: 1 for 1 cocktail for ladies from 8pm to closing every night, and a student special: Tab Burger and 1 house pour for just $12.75++. Do share with us some of the bars in Singapore that you always hang out at, and if you know of any drinking places that have good deals during happy hours. YA, pls share more beer places!!! Cheap and good beer? Did i mention its $5 all night as well? It even has a live acoustic duo/trio that plays Mon-Fri nights! You should check out the place as it is uniquely designed. Let me watsapp u a pic of it! Hi. Do you know around how much is the cocktail at no.5 emerald hill cocktail bar? Five Izakaya Bar: really cheap food and drinks! My only complain is that the place is pretty warm/humid since there’s no aircon. Only solution is to order more pints of cold beer! It’s a rooftop bar on top of the toy museum, they do 1 for 1 happy hours from 5 – 10 if I’m not mistaken. The view is nice for sunsets! It can be confusing to determine whether it’s a restaurant or a bar, but they do serve boutique English beers and its ALL DAY HAPPY HOUR! Surprisingly the waitresses are really friendly and really knowledgeable of their beers. They serve great food there too if you’re hungry, by the way. Great view to drink al fresco, slightly pushy waiters but hey it’s $5 for a pint of tiger – I can’t complain. $10 for Macallans and other premium liquors, $35 for buckets: my kind of heaven. That’s the bars that came on top of my head but if I remember more I’ll keep you posted! Martini Bar @ Grand Hyatt … 50% martinis til 9pm…. “old empire” @ Valley Point shopping center. Happy hour on all beers till 8pm. Hi there everybody, I know YouTube video carries fewer bytes of memory due to that its quality is bad, however this YouTube video has great picture quality. Public House along Circular Road. 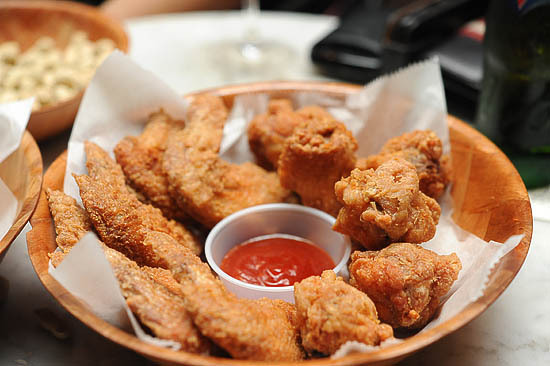 Stella Atoris and San Miguel Pints at just $10.70 each between 4pm to 8pm. Mon-Sat, All night long on Sundays.